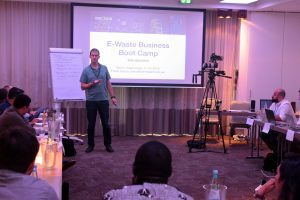 The first edition of the E-waste Business Boot Camp (BBC) took place in Berlin on September 10-14 2018. The aim of the BBC is to provide focused skills and knowledge to e-waste entrepreneurs based in developing and emerging countries, and to provide a platform for exchange of experiences from different contexts. 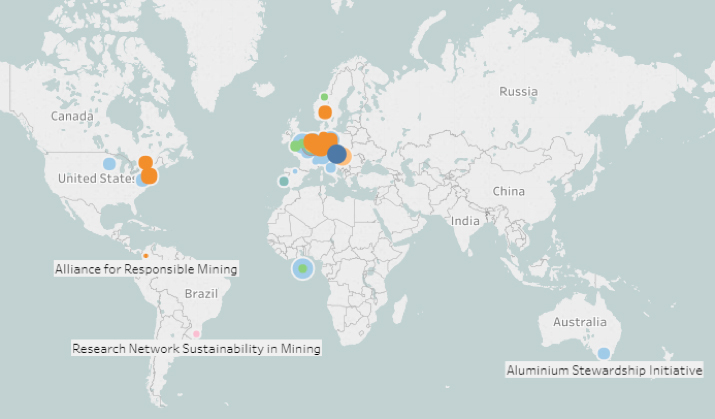 The development and set-up of environmentally and commercially sound e-waste management solutions is a particular focus, as well as the promotion of connections with investors and worldwide recyclers to extend their business opportunities. 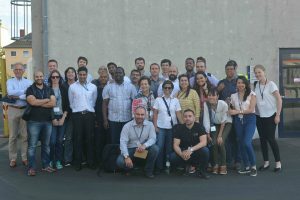 The BBC participants came from 13 countries in Africa, Asia, Latin America and the Caribbean, and Europe, representing a diverse mix of e-waste management systems and approaches. The group was composed of 23 entrepreneurs having an SME e-waste related business or entrepreneurs having recently started their e-waste related start-up. The 5-day intensive workshop covered broad business-related sessions on marketing, financial planning, business risks assessment, and access to funding in the context of the e-waste business, as well as focused input from experts on relevant technology and standards. Individual and group exercises and presentations allowed the participants to share experiences, challenges, and opportunities, and led to interesting discussions on ways to address the e-waste challenge and set up effective recycling systems. 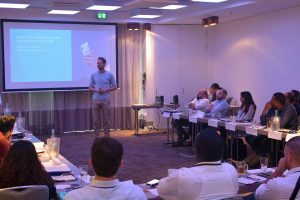 The workshop was carried out by the UNU Sustainable Cycles (SCYCLE) Programme — hosted by the UNU Vice Rectorate in Europe (UNU-ViE) in partnership with Deutsche Gesellschaft für Internationale Zusammenarbeit (GIZ GmbH). The main sponsor was the German Federal Ministry for Economic Development and Cooperation (BMZ) via GIZ project “Concepts for Sustainable Solid Waste Management and Circular Economy”, with additional sponsorship coming from World Resources Forum (WRF) and SERI. 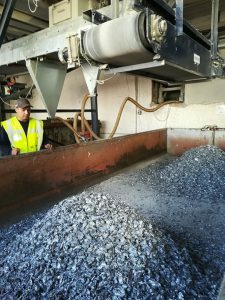 Experiences in the development of a large e-waste recycling business over time. Presentation by Fairphone’s CEO. Picture: UNU and GIZ. 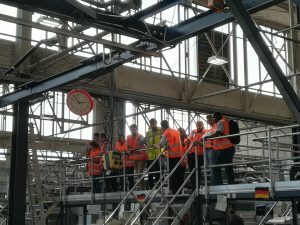 To gain further knowledge on up-to-date technologies and systems of recycling, the group visited the Remondis Fridge Recycling plant in Berlin. 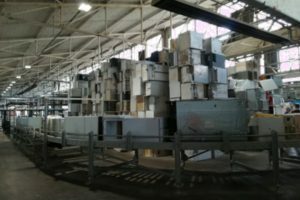 Participants had the opportunity to learn about the full chain of fridge recycling, from collection, dismantling, processing, and material recovery. Visit at the Remondis Recycling Plant in Berlin. Picture: UNU. A networking dinner offered further opportunity to discuss experiences and exchange ideas among participants, with representatives from Coolrec and BMZ who joined the event. On the last day, a pitch session was organized to give the opportunity to each participant to present his/her business and activities to a jury and to collect feedback and advice on possible improvement. The jury included representatives from EIT RawMaterials, Impact Hub, Afrolynk, and the GIZ Make IT initiative. Participants will go on to develop and improve e-waste recycling activities in their countries, improve their business operations, as well as maintain their new contacts from the BBC. We thank all our experts, jury, and participants for joining the workshop with great enthusiasm and input, as well as Remondis for their great site visit. More information on the BBC 2018 can be found at http://ewasteacademy.org/bbc/.